This week marks the 10th anniversary of the first-ever World Rugby U20 Trophy, hosted by Chile and won by Uruguay. 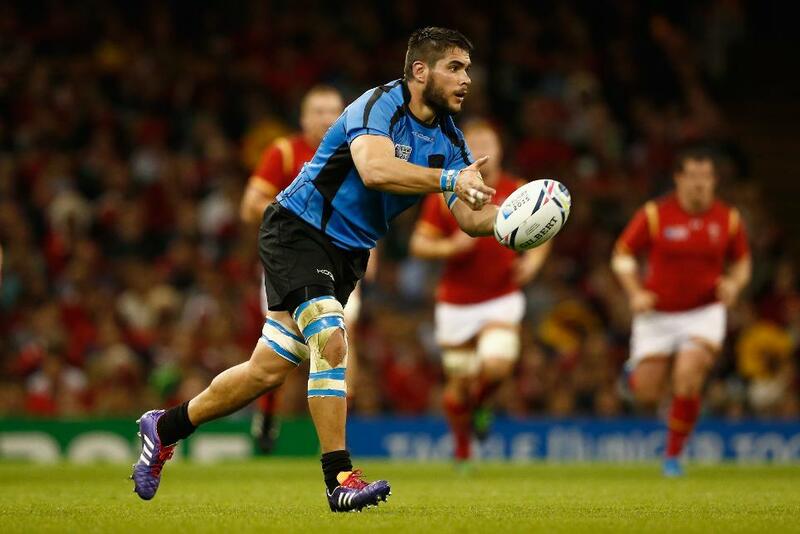 We take a look at how important that victory was to the rise of Uruguayan rugby. Ten years ago, World Rugby amalgamated the U19 and U21 international tournaments and created one U20 category, organising a 16-team elite tournament to be played in Wales, the Junior World Championship, and a second satellite event under the guise of the Junior World Rugby Trophy hosted by Chile. While U20 rugby was a new concept, Chile’s experience of hosting two previous World Rugby junior competitions, in 1997 and 2001, held them in good stead and ensured standards were high at the first international age-grade tournament of the new era. Chile spearheaded Pool A at the inaugural tournament, with Romania, Namibia and Cook Islands, while South American counterparts Uruguay played in Pool B with Georgia, Korea and Jamaica. Uruguay were crowned inaugural champions after victory over Chile in the final, with the tournament serving as a springboard for many a long and successful career in the game. A host of players from that triumphant group went on to represent Los Teros at senior level. Seven of the class of 2008 featured at RWC 2015 while another seven, including captain Juan Manuel Gaminara, Uruguay's most-capped player Diego Magno and the experienced duo of Alejandro Nieto (pictured) and Leandro Leivas, are leading contenders to play in their second tournament next year in Japan. Two comfortable wins against Korea (67-8) and Jamaica (82-0) were followed by what was a de-facto semi-final against Georgia, narrowly won 20-16 at the Stade Français Club in Santiago. On the other side of the draw, Chile had beaten Cook Islands 33-0, Namibia 20-6 and, crucially, Romania 14-3, to set up a showdown with Los Teritos. “They were the team everybody expected to win the inaugural Trophy, but we were very solid as a team, very united and focused,” recalled Nieto. The leadership of Matías Fonseca was aided by the positive vibe created by a management that knew how to get the best out of their players. Former Los Teros player Santiago Alfaro was the trainer and he brought new, revolutionary ideas ... and now works with none other than Uruguayan striker Luis Suárez. “In the week of the final we had a barbecue, the Chilean coaches joined us, and it was a great night,” said Nieto. The tournament organisers could not have wished for a better final with two fierce rivals going head to head for the prestigious title. The match was a sell-out with hundreds of disappointed fans locked out. Nieto’s mother did make it inside the stadium but had to leave 15 minutes early to make the last flight back to Montevideo. Chile, cheered on by the home support, were leading after 20 minutes with a penalty from fly-half Francisco González and a try by Ricardo Siffri, which González failed to convert from under the posts. But after 31 minutes Germán Albanell converted Magno’s try to reduce to deficit to one point at the break. Uruguay seemed hungrier in the second half, Leivas kicked a drop goal, Jerónimo Etcheverry a penalty and before the end Albanell scrambled over for a try in the left corner which he converted for a final scoreline of 20-8. A decade has passed by since but Nieto looks back fondly on that fortnight. On reflection, the number eight says the significance of that period in the overall development of Uruguayan rugby cannot be understated. “There were many important generations in our game, but we do feel that ours was important. We all loved the game, had to work hard for our achievements and that made us who we are today."